Last week someone asked how I go about doing my layouts, I thought I would answer that in case anyone else was wondering. 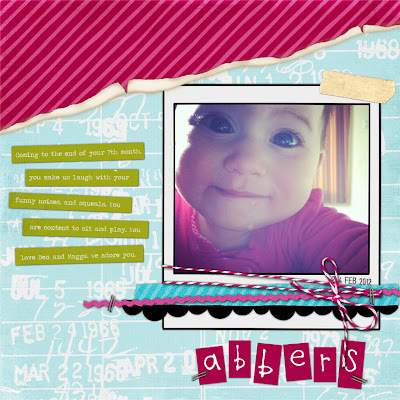 I use Adobe Photoshop Elements to do all my photo editing and scrapbooking. I love Elements and use it often. When I was first interested in digital scrapbooking, I just googled it and was led to JessicaSprague.com. It has been my home since. I took classes and have become proficient at using PS Elements. I am privileged to have been chosen for her Creative Team and now showcase my work not only on this blog, but also on her website. I love that place. If you're interested in learning. You can start by downloading a trial version of PS Elements Here. It is a 30 day trial. I would sign up for Jessica's first class and see if you like it. You can do that Here. Anyway, here are two layouts I did for this week. This month I'm assigned to Splendid Fiins. I've always loved her style. Full Credits Here. I've been wanting to get into Project Life. I actually bought the paper version (What was I thinking!! Does anyone want to buy it from me?) I just can't get the logistics down of printing my photos and such, it just seems like too much for me. So I finally started my digi version of Project Life. It's only March, right? Full Credits Here. ﻿If you have no idea what I'm talking about, that's okay too. 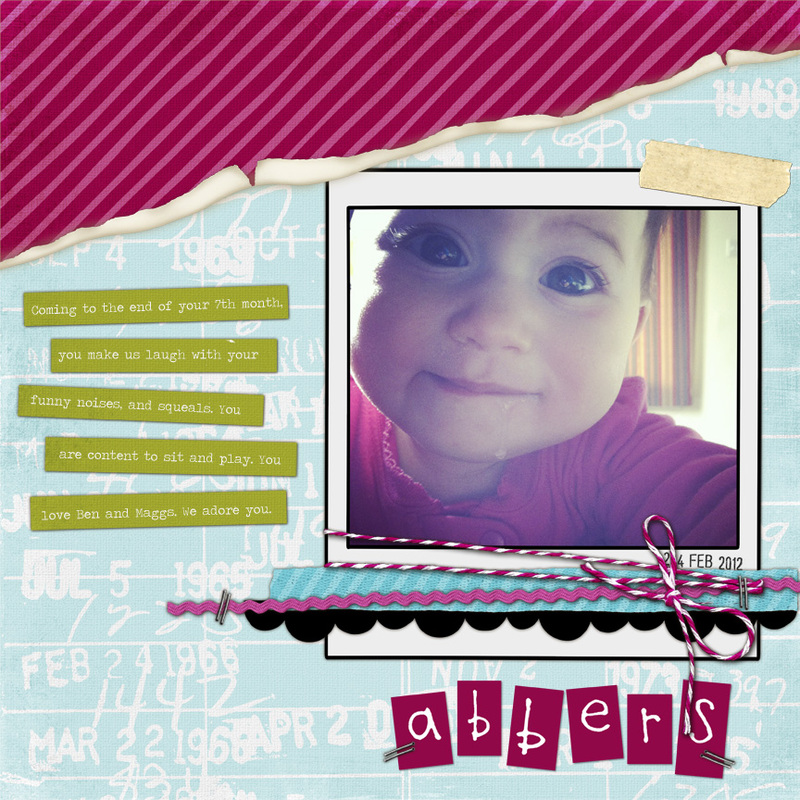 :) Project Life is a scrapbooking system developed by Becky Higgins. It's meant to be an easy way to get your Life, you photos in a book. 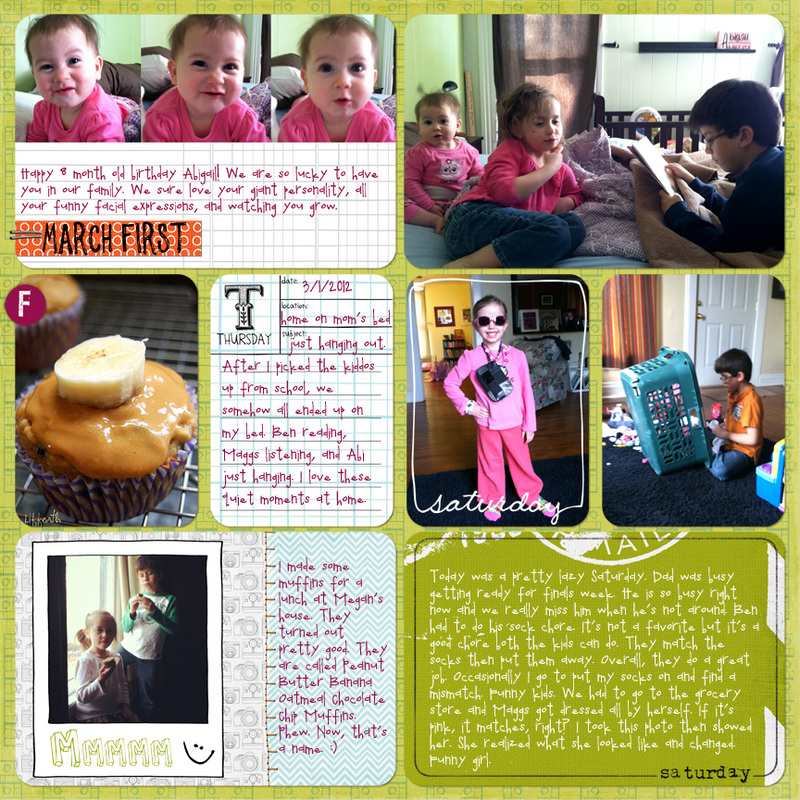 I love scrapbooking my featured one photo layouts. It's my way of expressing myself, but I've always felt bad for ignoring our mundane everyday life and our big events too! Project Life just takes those photos and moments and gets them off your hard drive and into a book. Becky really explains it best. Here is more information and a video you can watch. How much for the paper version? Go Monica! Love the idea of Project Life...just don't know when I would do it :o) Life just won't slow down enough!